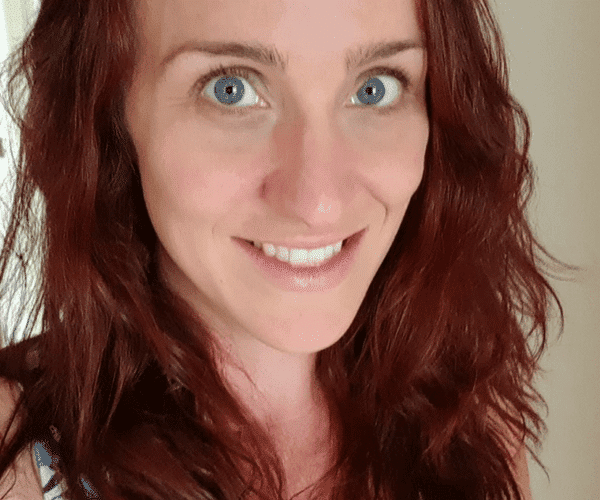 Are you brand new to babywearing? You want to babywear but you just don’t know where to start? Well I’ve collected up all the best baby carriers for beginners. Before I get started on recommendations I need to talk about safety first. Babywearing is safe, but there are a few simple rules you need to stick to safely carry for bub. 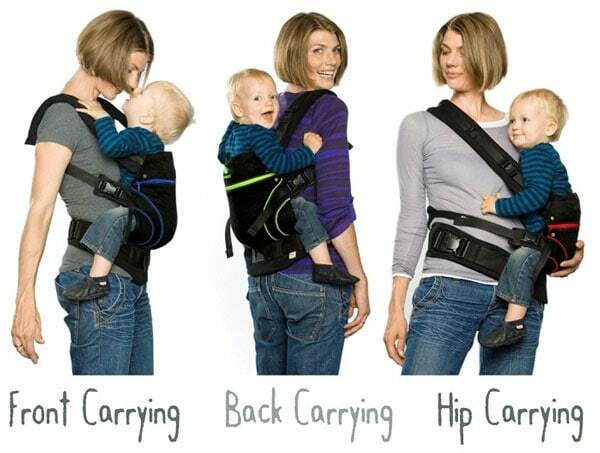 The most common mistake I see parents make babywearing is having the carrier too low and too loose. 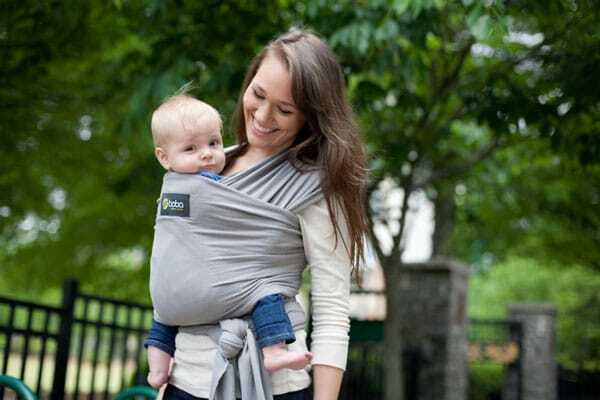 Which is dangerous for baby and also drags you forward and puts unnecessary strain on your shoulders and back. 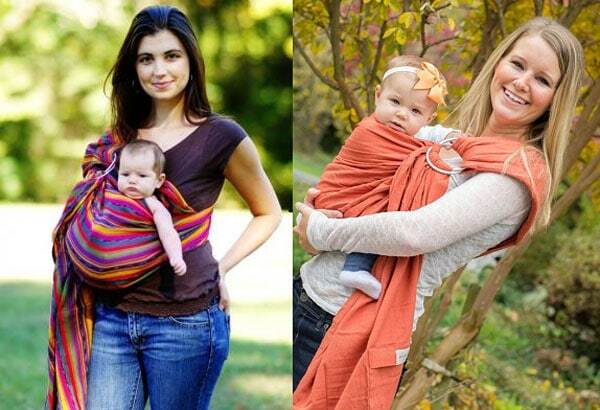 Now that we’ve got that covered, here’s some great carriers to get you started as a new babywearer! Generally I recommend Soft structured carriers for new babywearers. Don’t be overwhelmed by all the buckles, clips and straps! I promise once you’ve got the hang of the basics, they’re the easiest style of carrier for beginners. I’m agonising over which Ergobaby to recommend. I think the Ergobaby Adapt is the best in the Ergobaby range for new babywearers, it’s the easiest to use, especially for newborns. HOWEVER in my experience most people prefer the 360 because it gives them the option of forward facing later on. So it’s a personal preference. 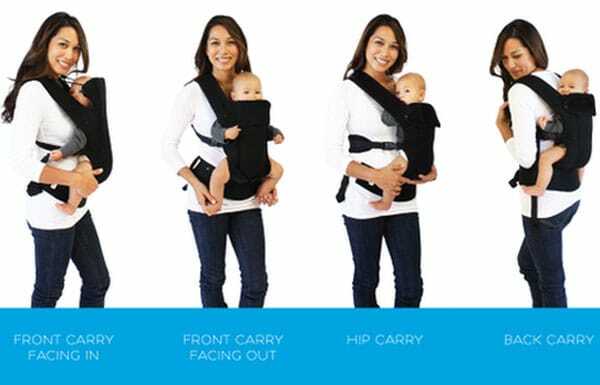 The Ergobaby Adapt is suitable from birth (from 3.2kgs) without an infant insert and carries up to 20kgs. It can be used as a front, back and hip carrier – the only drawback for some people is it doesn’t do forward facing. See my full review on the Ergobaby Adapt. Every time people ask for SSC recommendations, you can guarantee that both Ergobaby and Manduca will be suggested. They’re also suitable from birth – with a built in infant insert – and carry up to 20kgs. They’re a front, hip and back carrier. And the back panel zips to adjust to the height of the baby, so it’s really versatile and grows with your baby. This carrier was not on my radar when I was buying for my babies, but if I was planning any more babies I would DEFINITELY be giving this one a go. 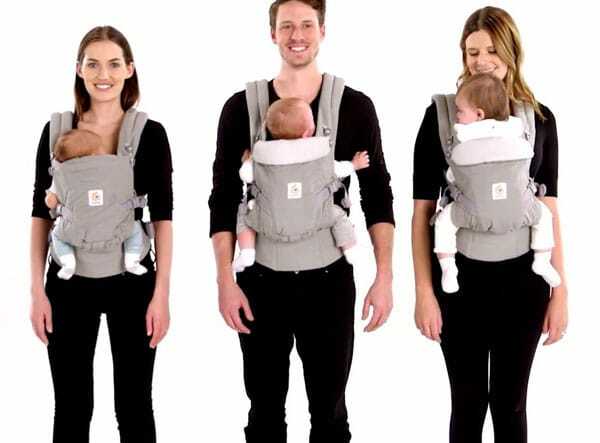 It’s suitable from birth (3.5kgs), they can be used as a front, back and hip carrier AND forward facing – with no infant insert to fiddle around with. They will carry most babies will into toddlerhood, with a weight limit of 16kgs. Also, it comes in a range of pretty colours! 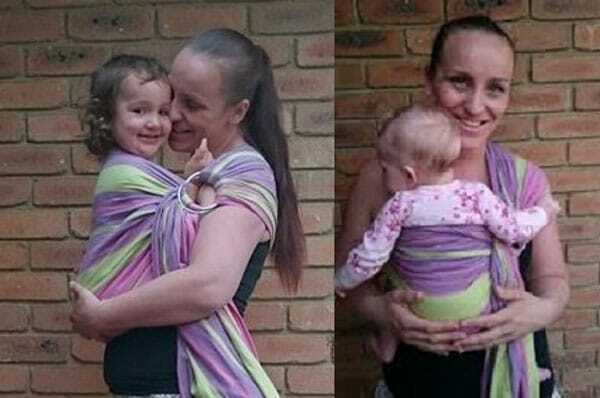 Stretchy wraps are also a great starting point for babywearing, firstly because they’re generally pretty inexpensive (and if you DIY they are downright cheap). They are just for newborns and smaller babies. Don’t be discouraged by the long length of fabric, once you’ve learned how to put it on it’s really easy to do, and the great thing is you can leave them on and pop baby in and out throughout the day without necessarily needing to retie it each time. Stretchy wraps basically all tie up the same way so here’s a helpful video to show you how it’s done with a newborn baby. I would hazard a guess and say Hug-A-Bub is the most popular stretchy wrap. They’re made from 100% cotton, which means they’re a firmer carrier than the stretchy wraps that have 5% spandex (which I will get to), which some people prefer. Also being 100% natural fibre is a big plus for some parents. Boba is what I would say is the next most popular stretchy wrap, and its key difference to the Hug-a-bub is it is 5% spandex and 95% cotton. Because of the fabric composition t’s a stretchier wrap, which means it’s a little easier to take baby in and out and there’s a lot less guess-work on how tight it needs to be when you first wrap yourself up, because it will stretch to accommodate the size of your baby. 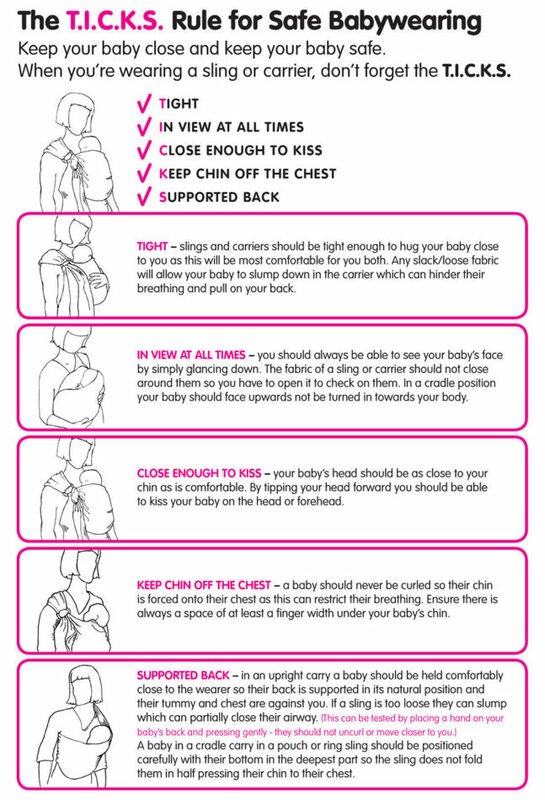 As with any carrier you need to ensure baby is high, tight, that their chin is off their chest, and that you’re positioned tummy-to-tummy for a newborn. If you’re ensuring all those things then ring slings are a fantastic first carrier! They really are so convenient and easy to use. They’re also perfect for short trips, like taking older children to school, because they pop on and off so quickly. 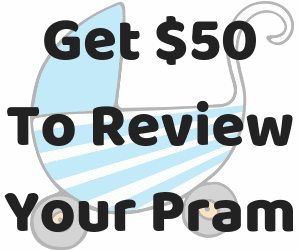 This is my go-to suggestion whenever anyone asks me to recommend a carrier that’s suitable from birth through to toddlerhood that costs less than $100. They come in a range of fabulous colours. They’re a little on the stiff side, but the wrap fabric breaks in nicely. Of all the carriers I’ve used this one received the most compliments and questions about. Several people said “Wow, that’s such a good idea – where did you get it!”. Even with my 2 year old I found it supportive for short trips (less than 1klm of walking). Read my review on the Little Frog Ring Sling. As the name suggests, the Maya Wrap has some padding on the shoulder. So this is a more comfortable option than other ring slings. They’re a lovely wrap fabric and come in a range of beautiful colours and designs. I hope this hasn’t made the decision more overwhelming for you! If you still can’t decide where to get started – or you have ANY questions at all – please feel free to ask and I’ll do my best to answer them. I love my ring sling for quick easy use. But not for LONG events. I love carriers! I had a fab Sakura Bloom ring sling to start out, then I’ve also had and enjoyed the Ergo, Britax and Stokke carriers at one time of another. I just counted. I’ve had 4 ring slings, 2 SSCs, 5 wovens and a pouch sling before I knew they weren’t optimal. Good grief. We don’t wear much anymore but I still have a woven, a Tula, an oonlamoon hand woven ring sling, a cotton ring sling… Eeep! On the plus side, I gave several carriers to mums for refugees and just gifted one sling to a mum with a special needs baby. I’ve also introduced a bunch of friends to BW and helped a couple of newbies to use their carriers. Such an awesome practice, I reckon! Babies and toddlers love the snuggles and it sure made my life easier. Sounds a bit like my collection! And I still have 2 woven wraps and a toddler tula! I’ve given away carriers to a friends as they’ve needed them. I can’t believe I didn’t take more avantage of baby wearing with my first baby! It is such a godsend! We had a Babybjorn but barely used it. With bub two I bought the mamaway ring sling ona whim during a baby show and I use it almost everyday, especially when bub gets clingy or we are feeding in public and I want something to carry the weight. Soooo good. Will look into some of your suggestions; I’m looking for one to use while my first sling is in the wash. This is the article I needed before wasting loads of money! We bought 5 carriers and I couldn’t use any of them. My husband uses the Ergobaby but the rest have just sat there! We mostly just shopping trolleys or her pram now she’s one! I’m an Ergobaby lover all the way. I carried my second in hers until she was almost three and still miss the closeness and connection it gave. I’ve owned 2 tulas too, definitely worth investing in, they’re amazing!